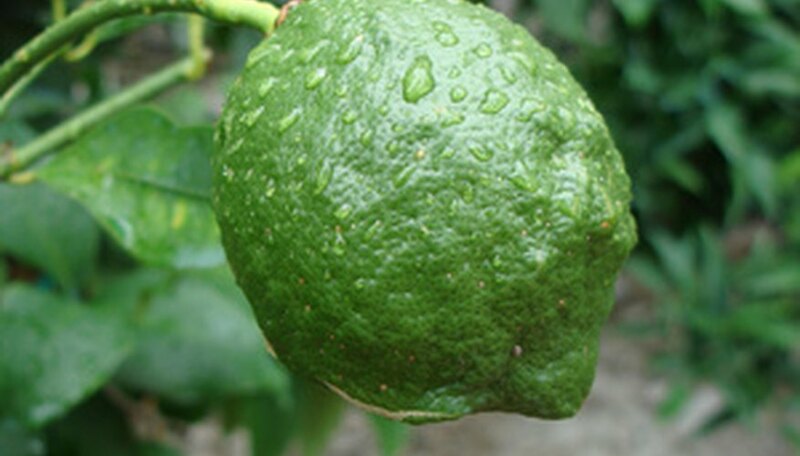 Limes, a tropical citrus plant, are extremely sensitive to cold and freezing temperatures. Michigan is in zone 5 with temperatures reaching -20 degrees F. The Michigan Upper Peninsula is considered zone 4 with temperatures reaching as low as -30 degrees F. Lime trees would not be able to grow outdoors in these conditions. Dwarf varieties, however, can be grown indoors and brought to outdoor temperatures during the spring and summer months in Michigan. Select a lime tree seedling from a local or online nursery. Dwarf varieties such as the Dwarf Key Lime work best for indoor growing in Michigan. Add a 2-inch layer of stones in the bottom of a well-drained 15-gallon tree pot. This will ensure good drainage for your tree and allow plenty of room for growth. Fill the remainder of the pot with an all-purpose, slightly acidic soil mix. Mix 1 cup of 21-0-0 ammonium sulfate evenly through the soil. Plant your seedling in the soil so roots are covered with about 1 inch of soil. Make sure the trunk of your tree is not below the soil line. Place your tree in a location where temperatures range between 70 degrees F. during the day and not less than 55 degrees F. at night. Place a 40-watt fluorescent grow light over your tree for 12 hours a day. Moisten the soil immediately after planting and keep it moist every day. Use a spray bottle to add a mist of water to the leaves. After two weeks, reduce watering to once weekly. Feed your tree an extra cup of 21-0-0 ammonium sulfate each spring as the tree grows. Place your tree on the porch outdoors in the spring and summer. If you keep your tree indoors year-round, fertilize flowers by brushing a cotton swab into the center of each flower.